he returned, his new-found agent had enrolled him in a writing workshop at Stanford. After his first few published stories, Beagle supported himself and his family as a freelancer for many years. In the 70's he began to write screenplays, as well as take up the hobby of singing folk songs at a local club. Beagle has published music as well as books, both his passions, and both lucrative. Beagle gives lectures and readings at universities, and also hosts writing workshops at schools such as the University of Washington and Clarion West. His works have been translated into 15 languages. Beagle has also written a script for Star Trek: The Next Generation and the screenplay for the animated feature version of The Lord of the Rings. 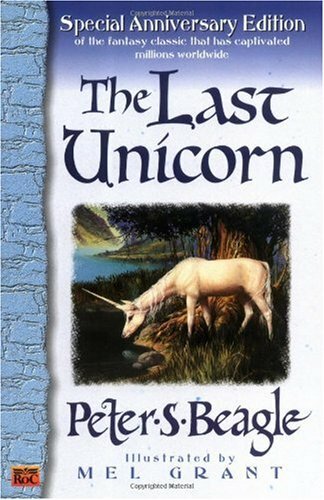 In 1987, Beagle's "The Last Unicorn" was proclaimed the Number 5 All Time Fantasy Novel. That same year, "The Innkeeper's Song" won the Mythopoetic Fantasy Award. In 1997, "The Unicorn Sonata" won the Locus Poll Award for Best Novella, and in 1998, "Giant Bones" won the same award as well as being nominated for the 1998 World Fantasy Award.